In Episode 1 of The ASMR Podcast we introduce Blu Steel, a series of Scottish accent, whispered-speech, aurally-stimulating reviews of Steelbook Blu Ray releases. 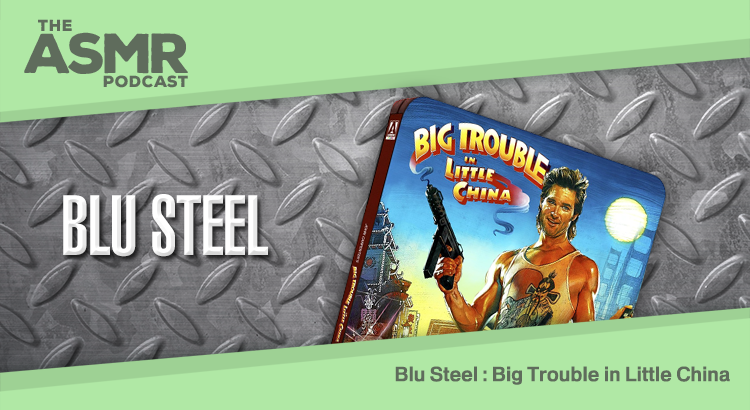 Blu Steel is hosted by Tariq Sheikh and the first episode looks at Big Trouble in Little China. Big Trouble in Little China (1986) was directed by John Carpenter; stars Kurt Russell, Dennis Dun and Kim Cattrall; and is available on Steelbook Blu Ray from Arrow Video.